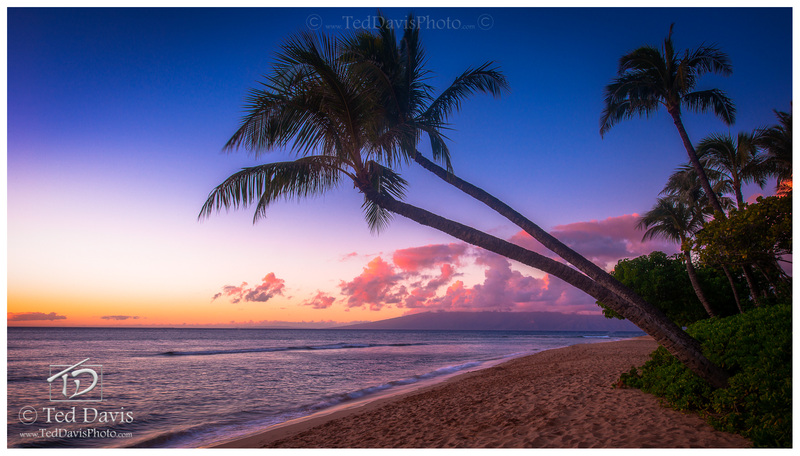 A setting sun off the coast of Maui, Hawaii on a relatively clear winter evening. Darkness was filling in the evening sky as the wind seemed to whip along the shoreline. Then, for a moment in time, a calmness descended over the beach and the palms, with the soft glow of the sun delicately illuminating the clouds and ocean. Photo © copyright by Ted Davis.